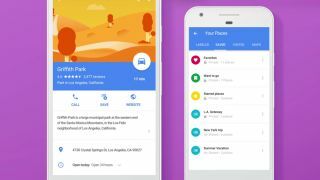 Google has updated its Maps app to help travelers save their go-to destinations and share them with friends and family who might need a few recommendations. Instead of saving assorted addresses, Google Maps users can now create lists that help organize their favorite locations to the app for future reference as well as send those lists to others. This means that users can file away helpful addresses like potential date night locations in one list and must-see attractions for an upcoming road trip in another, ensuring fewer instances of, "What was the name of that restaurant we've been meaning to try?" or, "Wait, how many museums did we plan on seeing when we got there?" Saved lists in Google Maps can also be shared via text, email, or social media - allowing you to hand off your favorite tourist stops to your relatives when they visit or which local pubs are worth dropping into when your chums attempt to reenact the ol' college days. Additionally, saved lists and their locations work on both mobile and desktop versions of Google Maps, and are even accessible offline, so long as you download them in advance. Google Maps' latest feature is available for both iOS and Android versions on the app and though it might take a while for it to show up, a Google representative assures us the update is rolling out starting today.